I boarded the Nautilus Belle Ami, with a couple dozen other divers on World Oceans Day. Together we spent the next 36 hours sailing from the southern tip of Mexico’s Baja Peninsula, bound for the Revillagigeda archipelago, a small collection of islands and rocky pinnacles a couple hundred miles south. The experience of the last 12 days was, in significant ways, the reason I’ve spent the last couple years chasing scuba and underwater photography so hard. Just before leaving I finished the last courses to qualify me for PADI’s Master Scuba Diver level, and my first dive on the trip was my one-hundredth dive. 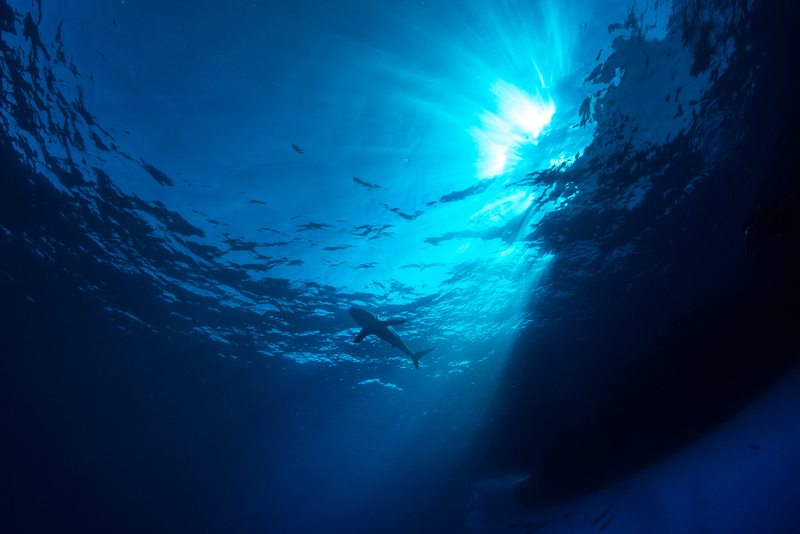 All to get me to the point where I could finally be face to face, in the wild, with sharks, dolphins, and – most of all – the giant oceanic manta ray. Now sitting in Cabo San Lucas with a plate of chilaquiles con huevo and a margarita, a breakfast the likes of which I’ve not seen since they put whiskey on my oatmeal in Ireland, I’m thinking about the last two weeks and trying to brace myself for re-entry and a daily routine with email and Facebook instead of the endless blue of the pacific and the astonishing grace and curiosity of the mantas. Only my longing for my beautiful girl is pulling me home. I could stay here forever. 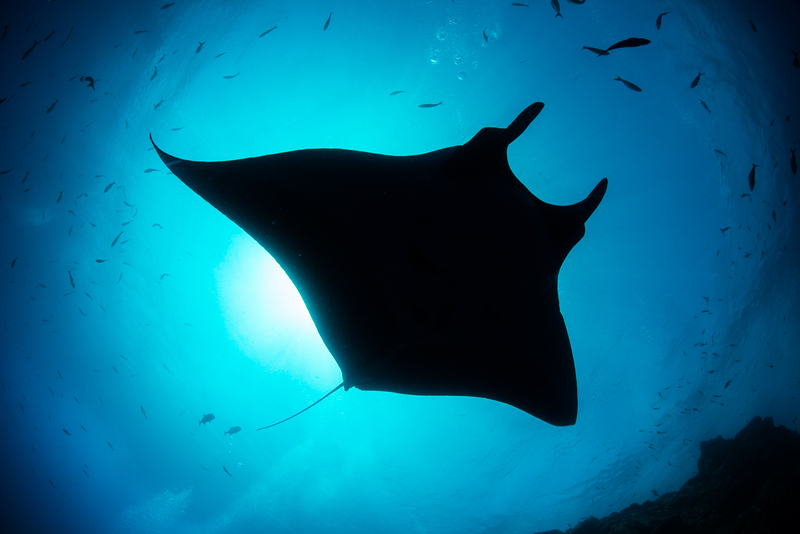 The giant manta ray has the largest brain of any fish in the ocean. Scientists speculate that this brain evolved not for survival – after all there’s very little in the way of complicated planning involved in eating plankton – but for social reasons. They are curious and highly relational, and in the case of the mantas at Socorro at least, they played almost endlessly with us. Dropping into the blue there would be nothing but the topography of rock on one side and around it, nothing but open ocean. And then suddenly she’d be there, flying in like a ghost. 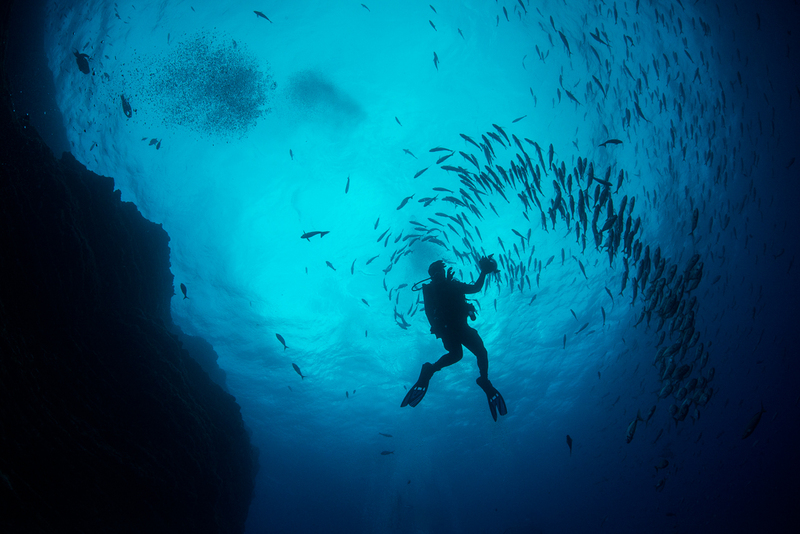 Jules Verne, in Twenty Thousand Leagues Under the Sea wrote that the ocean was “only movement, only love…it is the living infinite.” These words echoed in my mind, like a mantra, on each dive. I would only add the word grace. The mantas would often come so close they would look me in the eye. I often forgot to take a breath, afraid to break the spell. What that probing obsidian eye saw, I don’t know. But I came close to tears a couple times staring into that eye and feeling the need to apologize for such barbarism towards them. Sharks and Rays are of the same family, and it’s estimated we kill over 100 million of them a year, a quarter of their species now facing extinction, the oceans now holding only 10% of what they once did. Because of our fear, and our greed, and our superstitions. Of course, Jules Verne was wrong. It is not the living infinite. It seems so, because of it’s vastness. But it it’s as finite as anything on this planet, and perhaps more fragile. And we depend on it more than anything else. We empty it of fish, only to refill it with pollution, fish farms, plastics, and waste. The giant oceanic manta reproduces slowly, with gestation (usually only one pup at a time) lasting 13 months. We are killing them faster than they can reproduce. 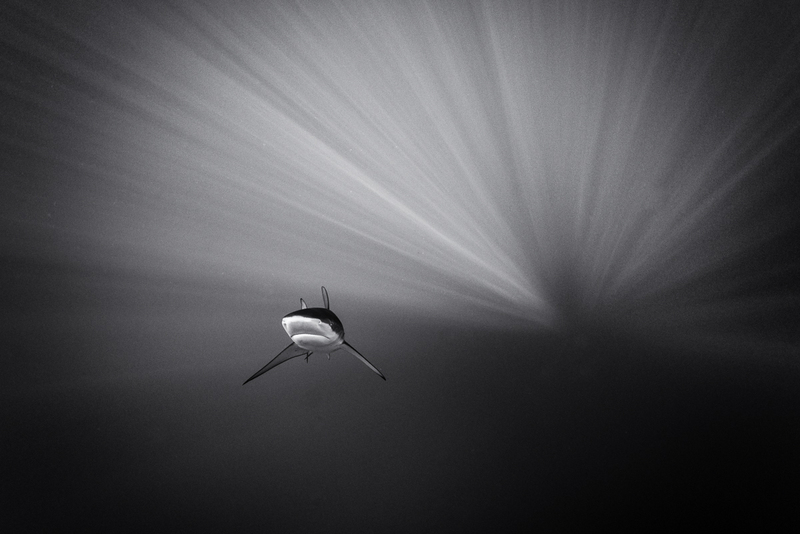 Underwater photography is among the hardest things I’ve ever done. The first couple days of this journey I felt desperately like throwing in the towel. But I believe the discussion about this earth and the climate change we’re seeing will become the only conversation worth having because our survival will depend on it. The conversation will happen around the poles and in the oceans. So more that just an experience of a lifetime, that’s where I hope this is all leading me. To be a part of that conversation, if only the small part of the guy reminding others who hunger for beauty that this beauty is in such peril. The earth cannot sustain our appetites. 7 billion people looking out only for themselves and saying “I didn’t know” can’t be the reason we deplete this vast blue ball of all her beauty and mystery. Face to face with beauty and grace – only movement, only love – it would be impossible for my photographs to do much more than hint at the mystery and grace I experienced. But I hope it gives you at least that. Soul-changing experiences like this – encounters that fundamentally re-calibrate us – don’t come often. But I suspect they’d be more common if we sought them. Paul Theroux said, “where there is wilderness, there is hope.” I long for him to be right. I’m lousy at re-entry. It’ll take me a while to get back into the swing of things, post a new episode of Vision Is Better, and find my rhythm. It’ll come. And this week we’re having a huge sale at CraftAndVision.com – lots of free things, including the latest, and last, issue of PHOTOGRAPH Magazine – yours free. Make sure you’re on the mailing list (top left of the page at CraftAndVision.com) to get in on the deals. Thanks for your patience with my absence. Enjoy the images. They’re a little rough because I’m on my laptop. Be sure to follow me on Instagram (davidduchemin) for more of them. Absolutely, jaw dropping, stunning images. Thank you for sharing! 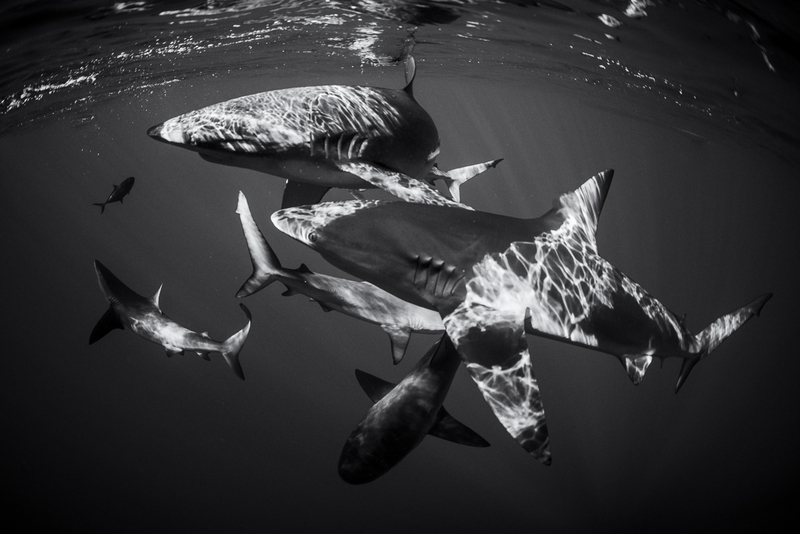 Breathtaking, incredible photographs, deeply moving words….. I’ve been reading your blog for years, David, but have not commented before, until this moment when I am overwhelmingly grateful for what you do …. and I just have to tell you so…. Congratulations on dive 100! That’s a great milestone. I’ve done the majority of my diving off the coast of Southern California. There are bat rays there and I recall the first moment I saw one. I was so taken with this incredible creature that I found myself spreading my arms out to my sides like the wings of the ray and wanting to follow it forever. Your photos are beautiful; I especially was taken with the b&w of the ray. Thank you for allowing us to see into this magnificent world. Congratulations, David, on reaching the Master level and the 100th dive! It’s been fun to see you pursue something you love so much. Best wishes for a lazy, not lousy, re-entry! What an amazing experience this must have been! 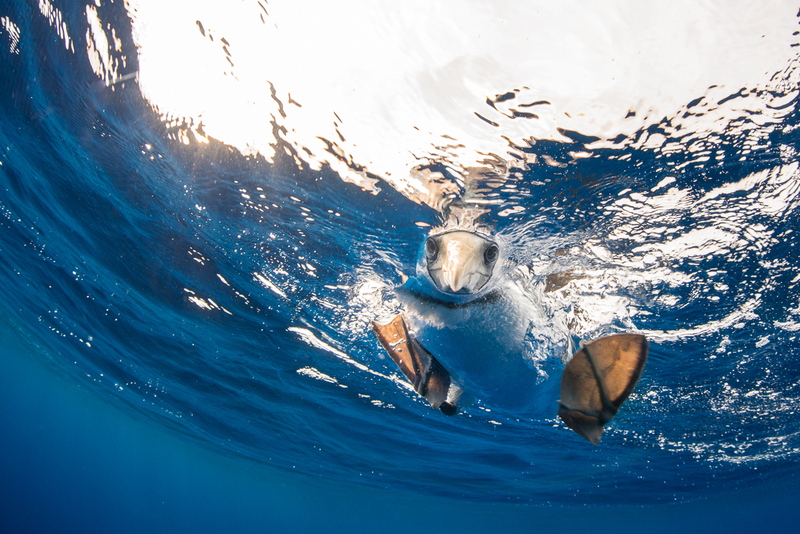 The images are breathtaking and they’re seconds in time – I can’t even begin to imagine what it was like to have a manta stare at you! Good on you David and thanks for bringing us along in whatever way you can! Last issue and last episode of the podcast? Are you making a change or just shifting focus? 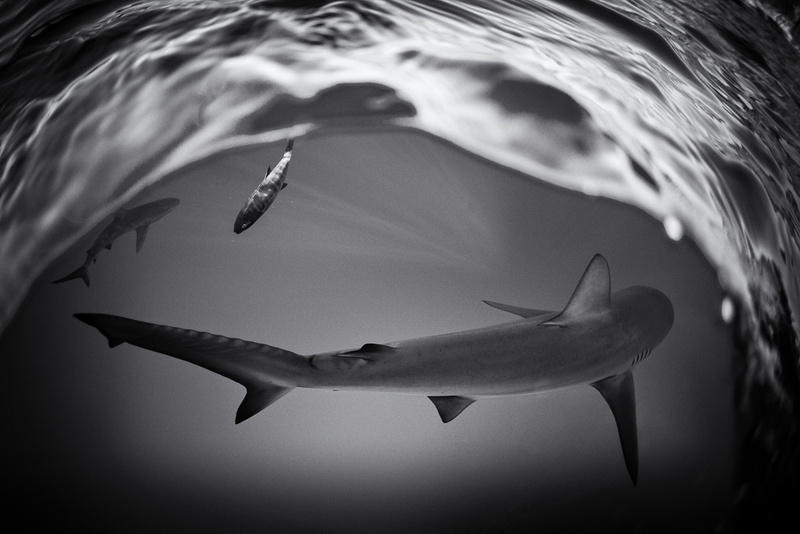 Thank you for sharing the underwater images above, there’s a sort of magical otherworldliness to photos taken below the ocean’s surface. Your images here really let the viewer experience your journey. With Janet above. 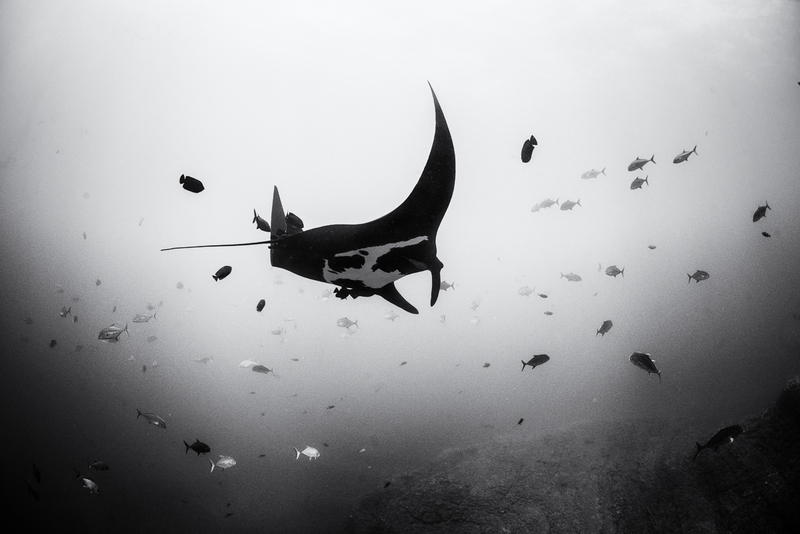 Immense gratitude for the giant mantas, and your wise vision of their planet, David. Your images here really let the viewer experience your journey. Amazing photos David, you have come a long ways in the past several months. 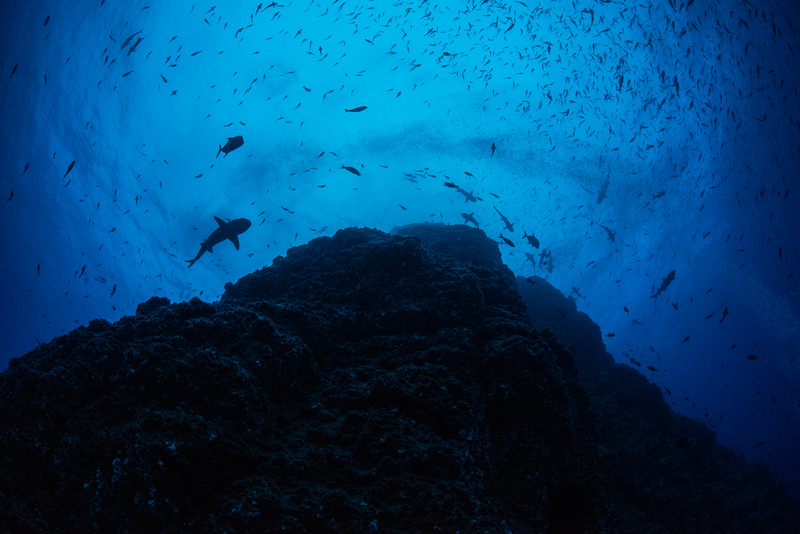 Your passion to catch the perfect moment combined the words to envision our underwater world as a limited resource is remarkable. I look forward to many more. David, these photos are outstanding. Doesnt look like it was “the hardest thing i’ve ever”, rather from w underwater Pro =). Now what sort of gear do you use for UW? been looking for housings for the Fuji XT1, so i’m wondering with what system you pulled these off. Thanks! Hi Wilfried – Thank you! 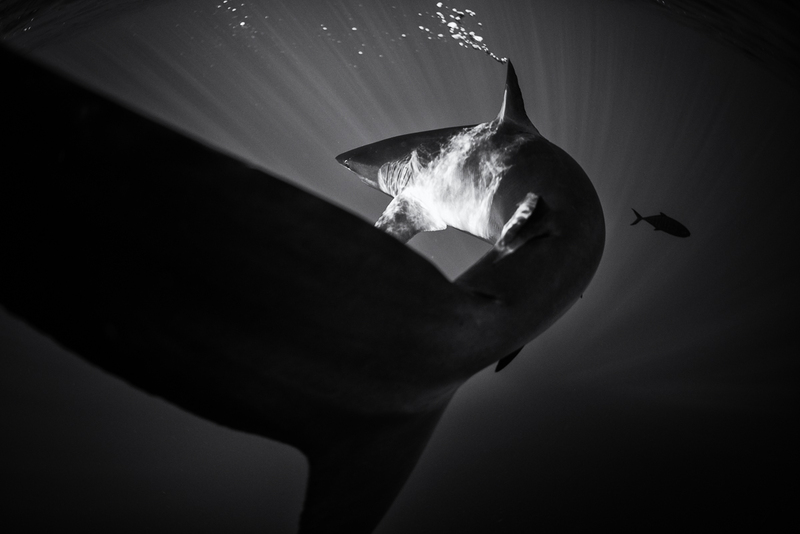 All my underwater work is with Nikon D800 and, most of the time, a Sigma 15mm fisheye. Nauticam housing, ports, etc. I did try to get my XT1 underwater at one point but the Nauticam housing was very new and the one I got was lousy. Lots of imprecisions in the buttons. So I returned it. I’d love to find a great housing for the Fuji system, but I’m pretty invested in my Nikon system for UW work now. Yeah, they are not cheap, are they? I wouldn’t, however, buy the Meikon unit. Precision matters in this context. 🙂 Putting an expensive camera into a cheap housing is a good way to ensure you ruin an expensive camera and have to replace it. 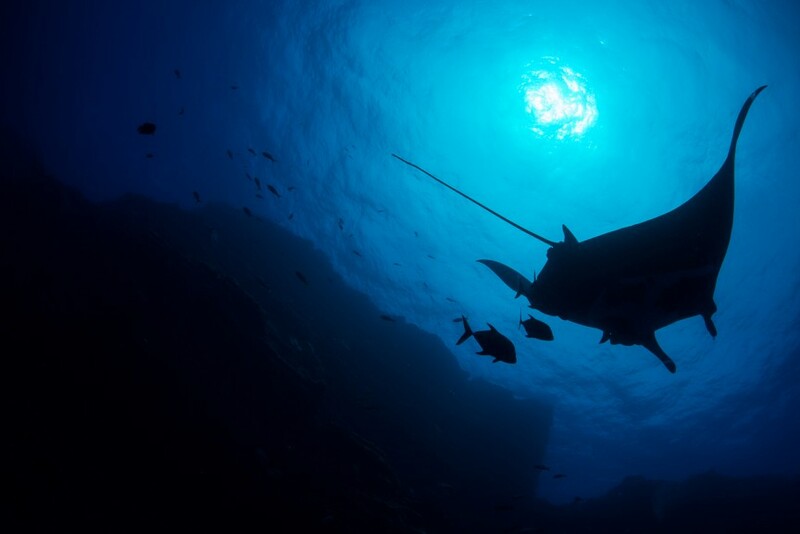 Of all the places I have been underwater, this place and the Sea of Cortez are, by far my most loved. Your fabulous pictures and words reveal why. Congratulations on achieving your PADI Master Scuba Diver rating. 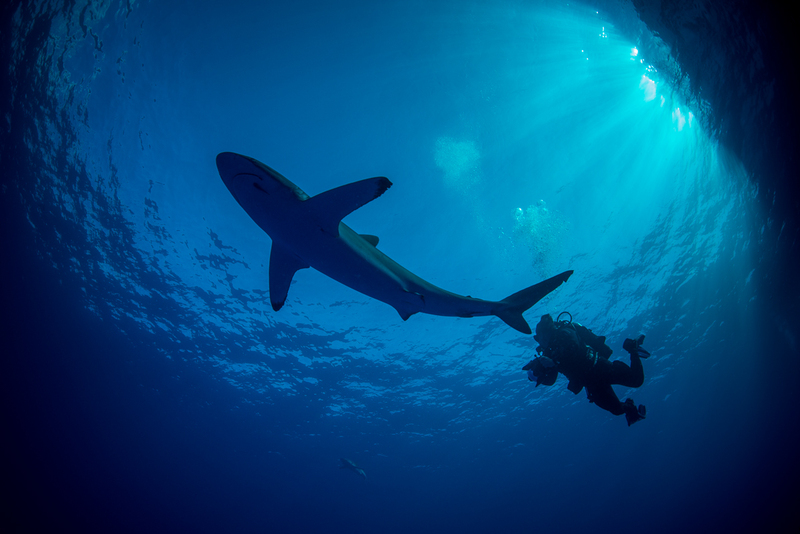 I hope you have many more adventures in the most incredible environment I have known, under the sea. Keep the images coming…. one more thing, David. What makes UW photography “the hardest thing i’ve ever done”. I guess, it’s obviously hard to work under water. But can you specify it a bit, tell some hands-on details? Thanks!! I think, Wilfried, that it’s a couple things. The first is how foreign the underwater world is. So many new possibilities. Going in to scuba with a camera I assumed it would be similar to land-based photographer, only more wet. It’s so much more. Light and space are different. Subjects are different. It has taken me a long time to figure out my own vision for this new world, and it’ll take me a long time yet. The second thing is just the technical – having to pay close attention to so much, both in terms of your own survival, not destroying or damaging the environment, and then on top of that having to learn how to use the camera again – all the buttons and dials are foreign, none of the muscle memory carries over, and the strobes (when I use them) add yet another layer of complexity. The learning curve is much steeper, and much more challenging (and rewarding) than I ever imagined. Are you selling individual prints? 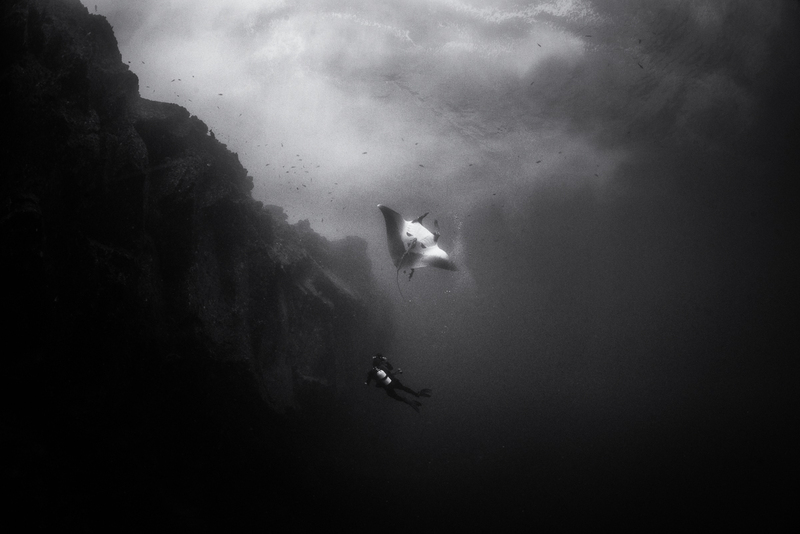 I’m in awe of the scuba diver and the ray and I’d love to buy one from you. Your work as always is as inspiring as your life. This level of photography is something to truly aspire to. Your last one is really scary! Really fearless!